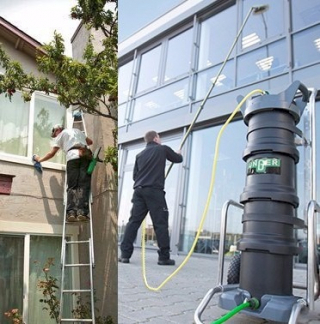 Window Cleaning Equipment & Supplies Dublin. Telescopic Poles. If collecting or ordering cleaning equipment, please telephone the house first to ensure that someone is there to deal with your order. We supply a full range of professional window cleaning equipment. 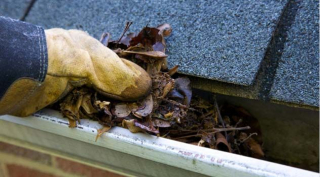 If there is guttering at the side of the property there will be an extra charge. Ungers window cleaning Equipment | Telescopic Window Cleaning Poles up to 40ft (12.2m) in height | Unger Telescopic Poles | Reach and Wash Water Fed Poles & Accessories | Unger nLite DI Filters | Window Squeegees | Washed Scrim | Replacement Squeegee Rubber Refills by Unger and Pulex | Window Washer Sleeves | Window Washer T Bars | Belt Hip Buckets | Unger Premium Window Cleaning Resin | Window Cleaners Gloves | Belts & Pouches | Glass Scrapers & Replacement Scraper Blades | Window Squeegees in Brass & Stainless Steel | Window Cleaning Buckets | Unger Window Washing Detergent. Just about anything to do with window cleaning. We operate 24/7 for our window cleaning equipment supplies. Tower Enterprises is a family run business. Established in 1988, also offer Window & Gutter cleaning service to business & householders on the Southside of Dublin city & suburbs.